Less Is More Endings. Two options. LIME - The Cycle Continues; a dark ending. LIME - We Will Prevail; a subtle, victorious ending. Let me know if you want to use parts or are all of this mod in a project you might want to do. Otherwise do not use any part of this mod publicly. WarrantyVoider and crew for making me3explorer. Fob and JohnP for teaching me stuff from way back. giftfish for the massive amounts of tutorials written and linked to. While Priority Earth Overhaul Mod states that it is compatible with all ending mods, it is not compatible with LIME vWWP or TCC. This may change in the future but as of now, do not use PEOM and LIME together. You would prefer a more concise ending to the game without much of an epilogue and find some of the plot holes during the Extended Cut and original endings a bit distracting. For any story changes made, whether dark or not, you prefer a more subtle approach. I know people tend to freak out about custom movies, but, plasmaFLOW, using textures by Ottemis, has, I think, done a good job here. This is for people who don't like rehashed videos used in LIME-WWP or just think his work is pretty cool. The follow video is simply an example of his work with a few of the shots being used in LIME-WWP. - Everything following happens regardless of your EMS. - During the beam run, regardless of your EMS, the Normandy will rescue your squad. - TIM will not meet you on the Citadel. At this time I do not remove references from earlier in the game of him fleeing to the Citadel, although I may do this in a future version. - There is no choice. 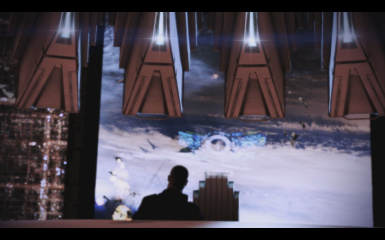 Shepard will destroy the Reapers. - The crew will rescue Shepard and therefore, Shepard survives. - During the beam run, the Normandy will not come to rescue your squad. They will die. - When arriving on the Citadel, it is implied that Anderson is dead. At the very least, he is not on the Citadel. - There is no choice. The refuse ending is used, but the idea is not that Shepard is refusing anything. It's simply that this cycle's efforts were not enough, like all the cycles before it. Some people were not understanding how EMS worked and in particular got a little confused when trying to use the Citadel Epilogue Mod. That's basically why I made the "We Will Prevail" version of LIME. While working on the "We Will Prevail" version, "The Cycle Continues" basically fell in my lap so I released that first. I also found that while I very much enjoy MEHEM and JAM version A and B, I wanted something a little different. I also wanted something which made the Citadel Epilogue Mod fully act as the epilogue to the trilogy. Hopefully, "We Will Prevail" accomplishes this. While it doesn't matter, I personally don't like Anderson living in We Will Prevail but, well, it's out now, so I'll go with it. The list is just too long to cover everybody. The feedback on the me3explorer forums, many PMs with many people, and WarrantyVoider and the entire me3explorer crew. Thanks to Fob for allowing use of part of MEHEM, and while I modified it a bit, using it as a base was a big help. A big thanks to JohnP for letting me build this mod off of JAM, without which, LIME could not exist. Thanks to Ottemis for use of her textures and to plasmaFLOW for making the best Mass Effect 3 custom videos I've seen in game.